Are you aware of what do vultures eat? These scavengers usually live far from the residential areas therefore, people find it hard to learn about the vultures diet. 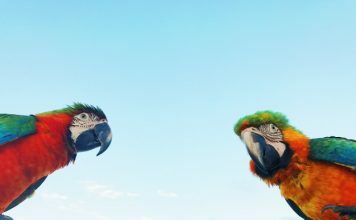 This article demonstrates what actually do these scavengers eat! Vulture is actually the collective name given to the group of scavengers. 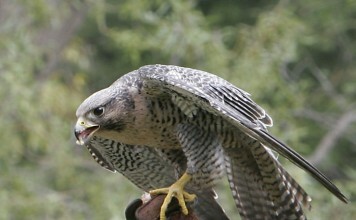 Several other birds of prey befall under his group such as California Condors or Andean Condors. These scavengers are widespread throughout the globe except in Australia or Antarctica. These birds have featherless neck which the naturalists believe that it plays a pivotal role in thermoregulation (maintaining adequate body temperature). 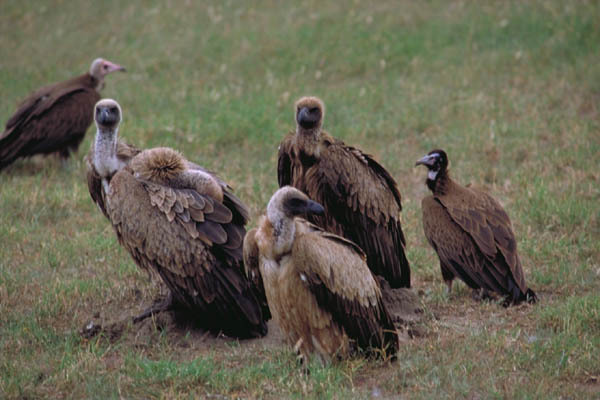 The collective name of a vultures’ group is called ‘Venue’. Now let’s come to the vultures menu. 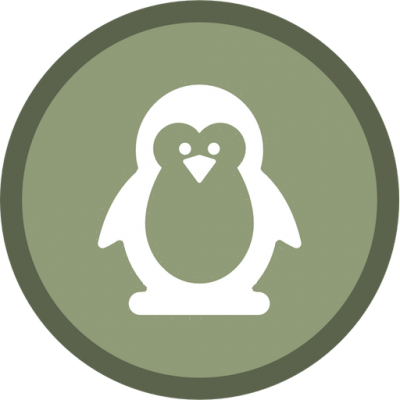 Do you want to know what do vultures eat? These scavengers predominantly feed on dead animals. Since they are carnivorous, they eat meat-oriented diet. Vultures are the opportunistic feeders and they seldom attack live animals; however, sick animals or near-to-die animals typically becomes the victim of vultures. The stomach of these birds is highly adaptable for putrid carcasses containing bacteria. These birds of prey do not take food for their chicks. Vultures also play a significant role in eliminating major environmental diseases that arise from the dead animals. Had there been no vultures, there would have been a major spread of disease around the area of dead animals. Vultures primarily feed on carrion, mammals, reptiles, birds, fish, amphibians, and invertebrates. These scavengers mainly prefer to eat freshly dead animals which they can locate through their exceptional smelling sense. 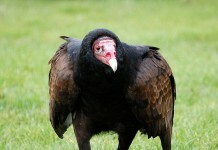 Turkey vultures are the close relatives of these birds. These kinds of birds have turned out to be endangered during the last decade or so. Vultures are extensively found in India and Nepal; however, the population has dramatically reduced in India because of the excessive use of pain-killer drugs like Diclofenac. The only rule for the vulture food is that it should be dead whether it is another animal or one of its own kind. So if a hungry vulture finds the body of a dead vulture then it is definitely going to be part of his meal. To vulture dead meat is just another meal whether it is of a dead vulture or not. This is helpful information, but some editing for grammar would improve your site. Why does nobody kill off this species? Why do supposedly humane and caring human beings sit by and let this pointless species torture dying animals to death? Thank you for your information. It was needed information.